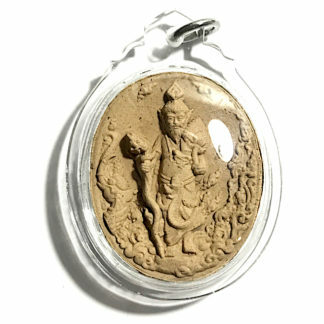 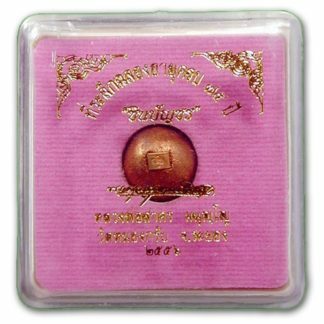 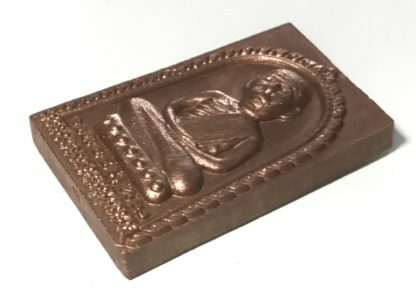 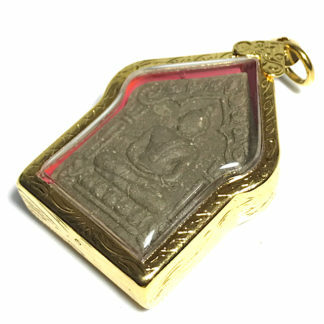 Pra Pong Prai Pised Long Pim Siarn Dto Yorn Yuk sacred powder amulet with the image of the Great Luang Phu Tim of Wat Laharn Rai. 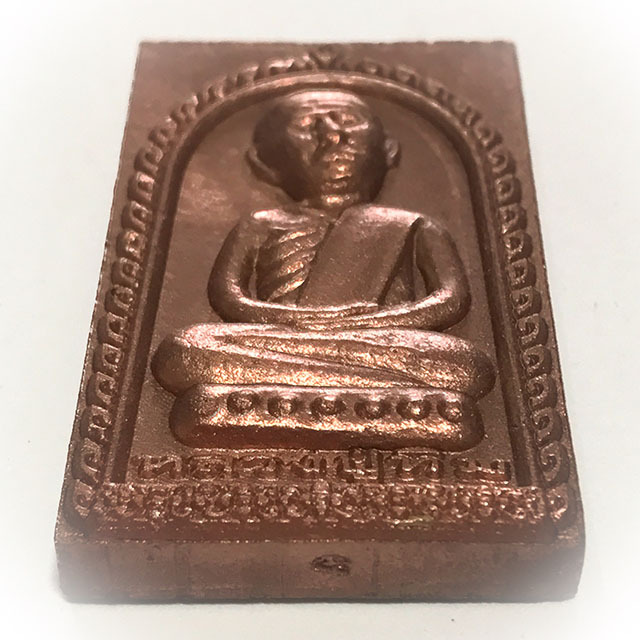 This Model is in Nuea Wan Dork Tong Golden Forest Flower Herbal Powders, with Bronze coating on front face, and Pong Tabai metallic filings from the making of the Giant Statue of Luang Phu Tim, at Wat Laharn Rai. 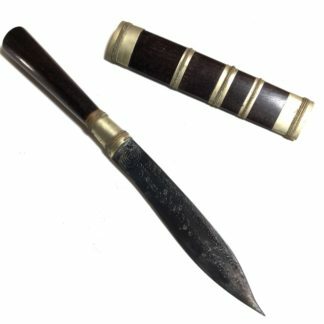 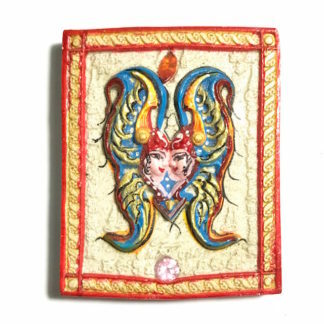 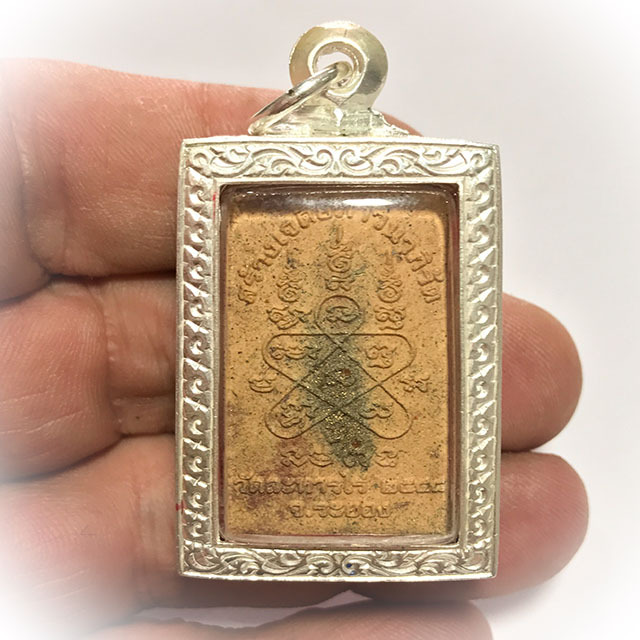 This amulet comes with enamelled silver plated stainless steel casing included (please note; color of enamels on frame borders can vary slightly with each amulet). 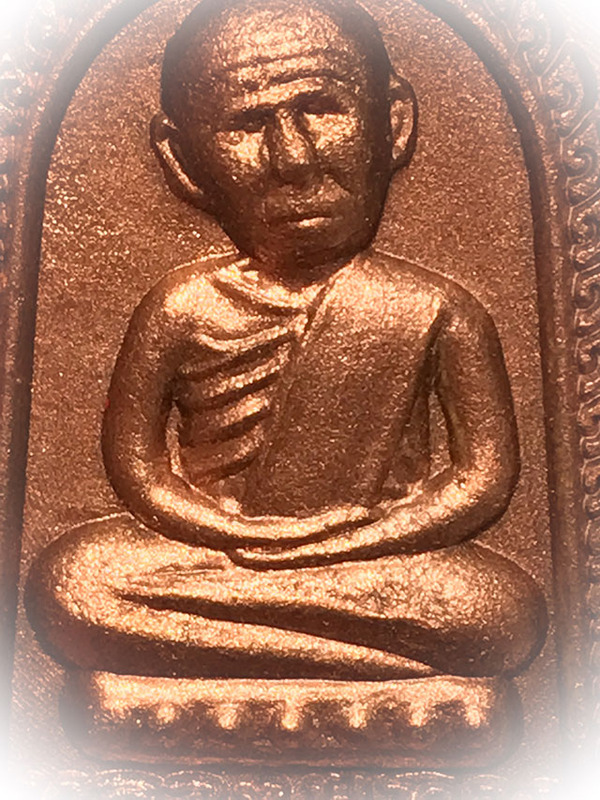 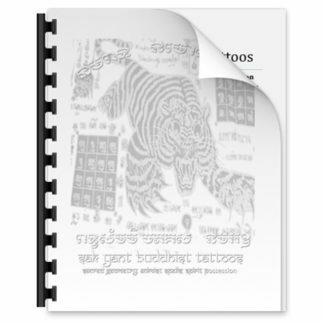 This edition was released in the year 2558 BE, coinciding with the 60th anniversary of Luang Phu Tim’s passing away. 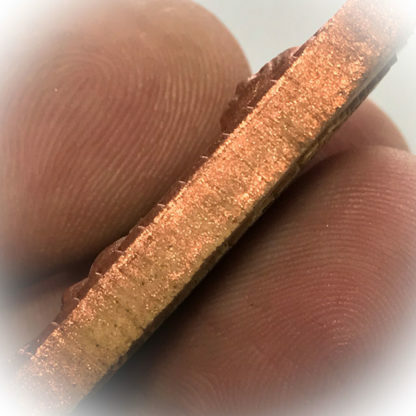 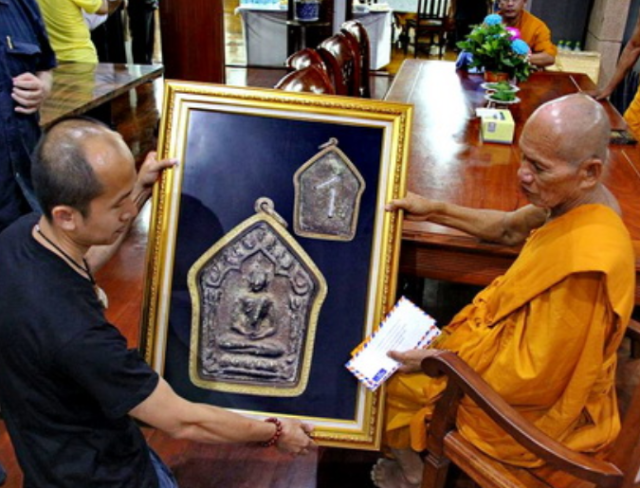 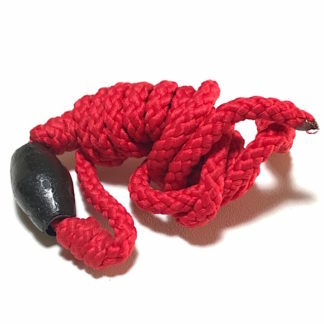 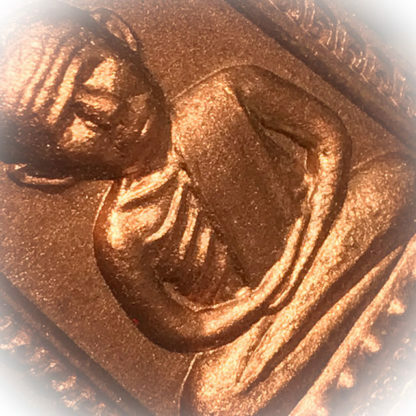 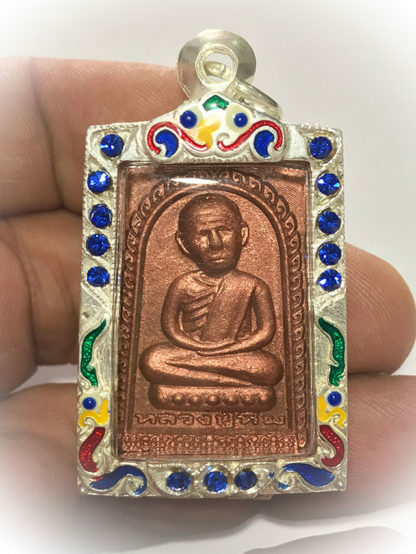 The amulet is modelled from the block press of the Pra Roop Muean Pong Prai Kumarn of Luang Phu Tim Issarigo, the Great Master of Wat Laharn Rai whose Pra Khun Phaen Prai Kumarn amulets are considered the number one Khun Phaen of all time, even above the world famous Pra Khun Phaen Ban Krang Hiding Place amulets. 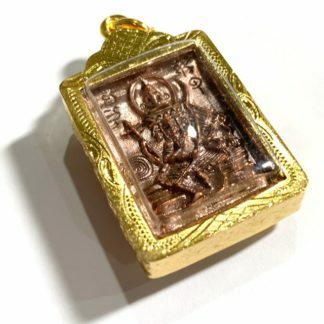 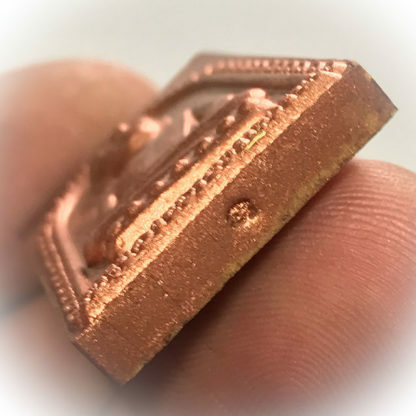 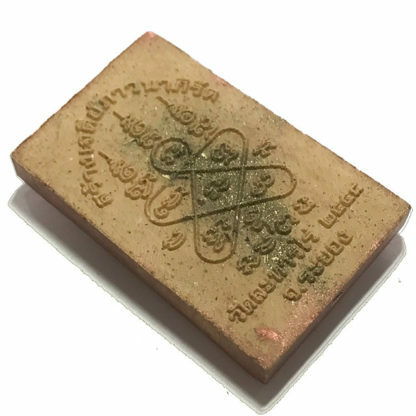 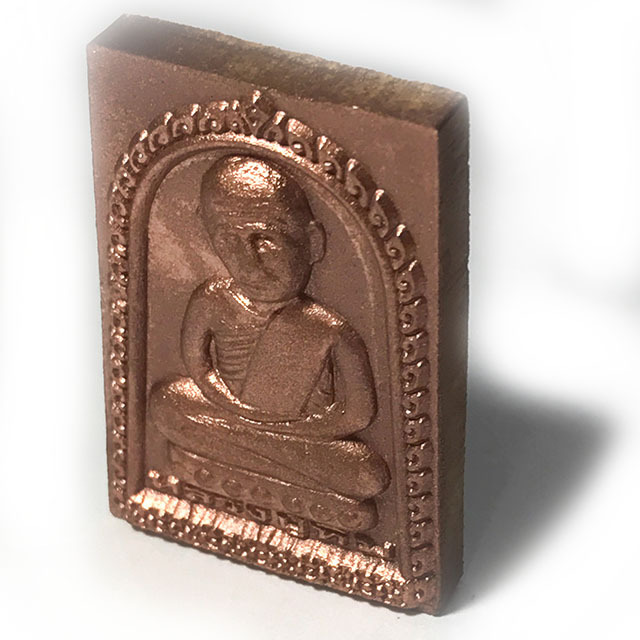 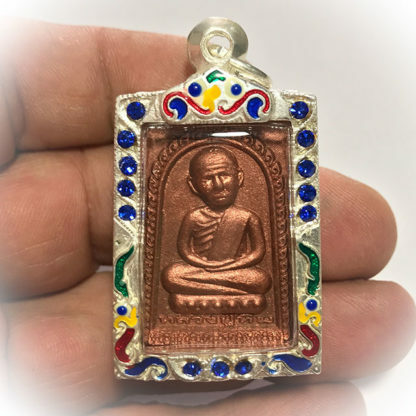 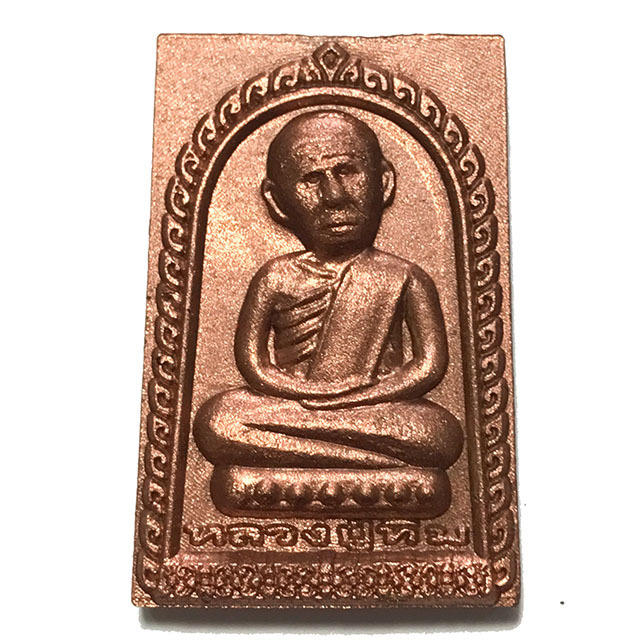 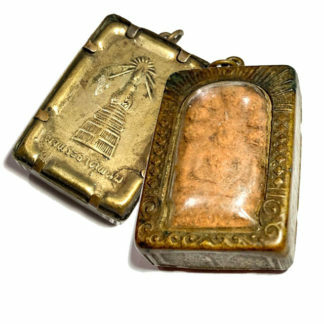 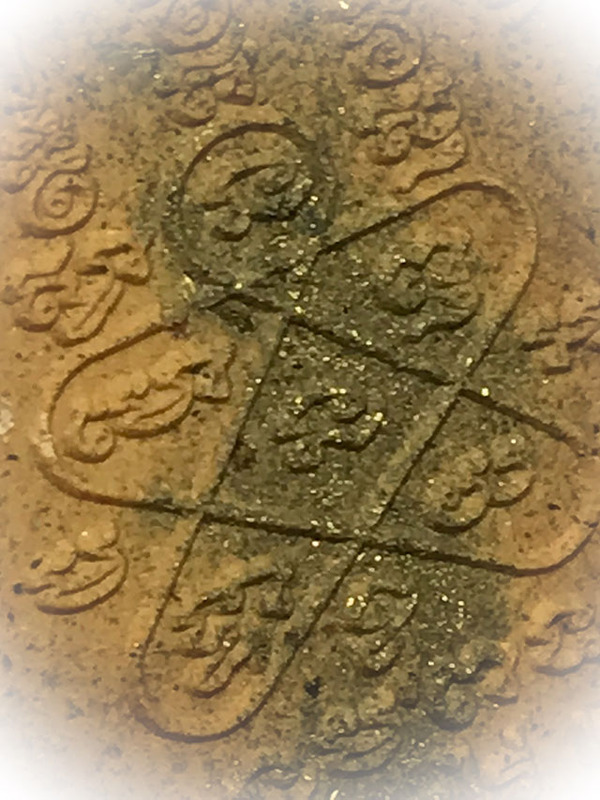 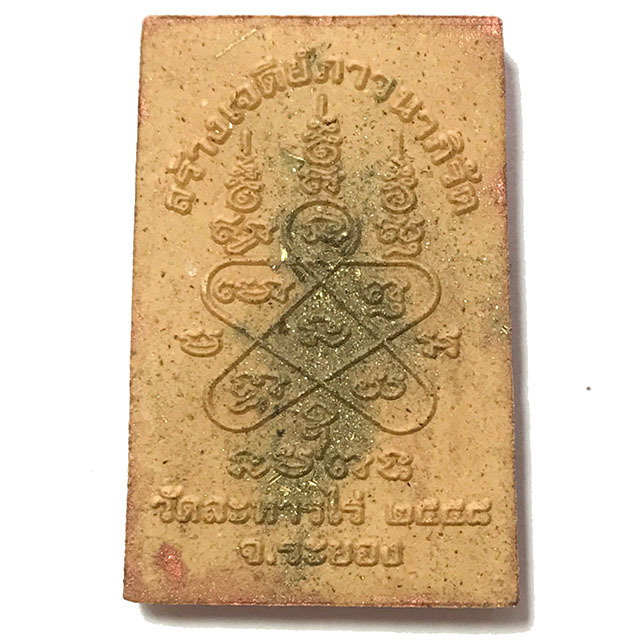 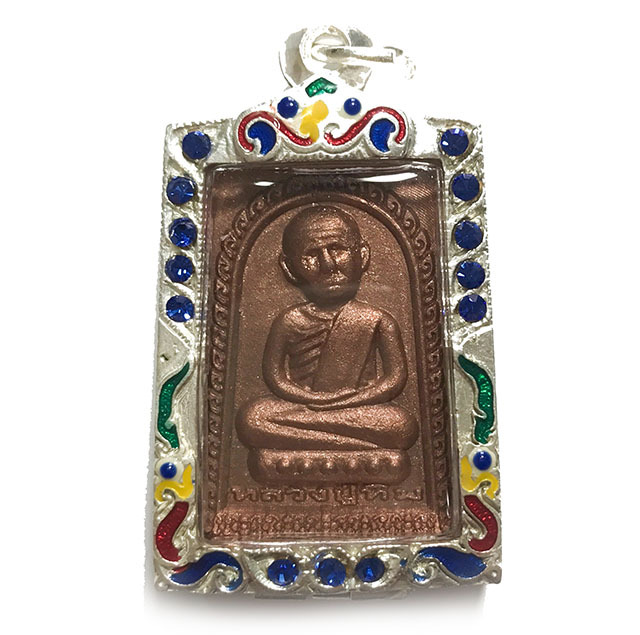 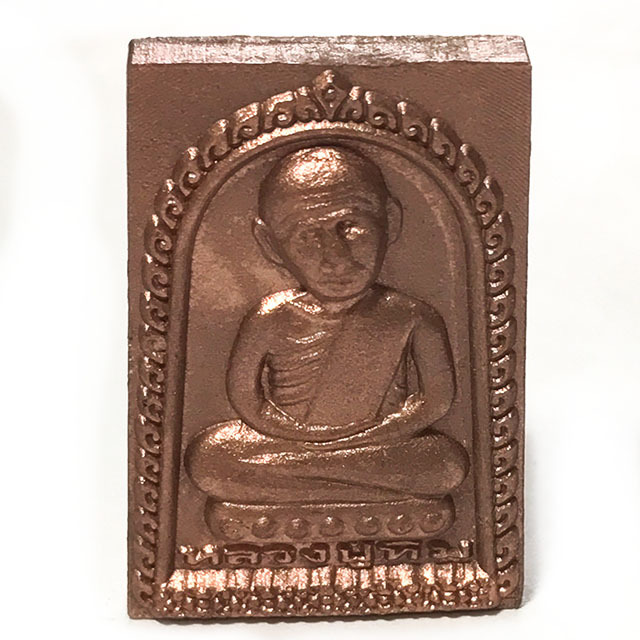 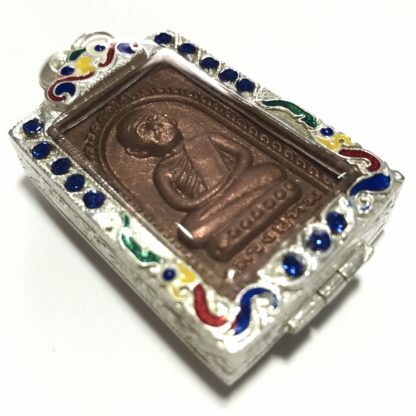 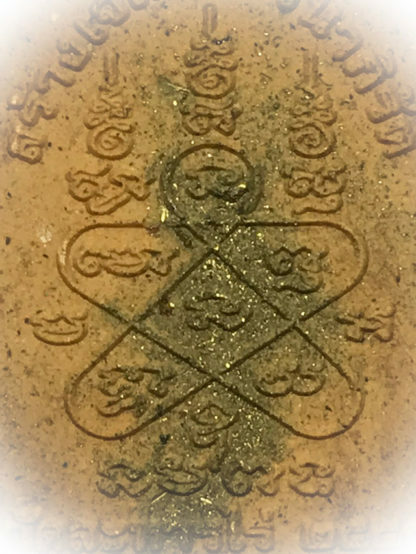 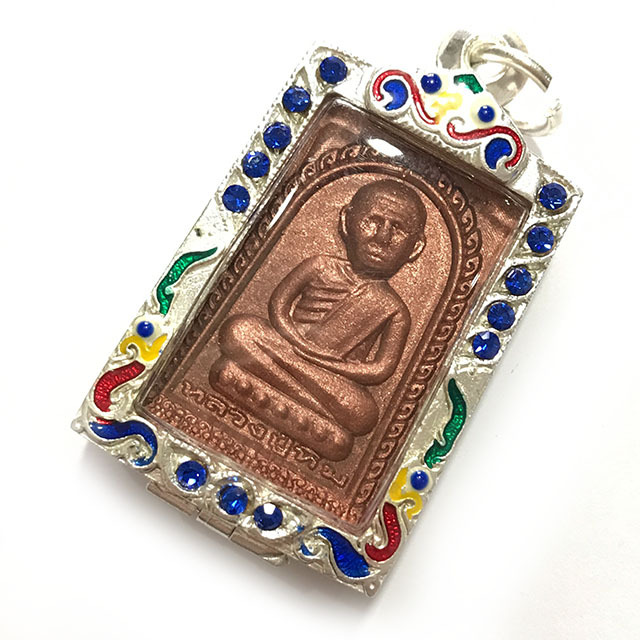 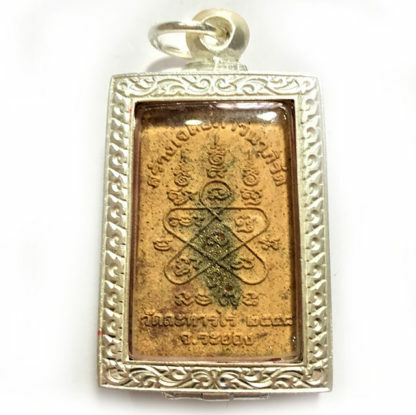 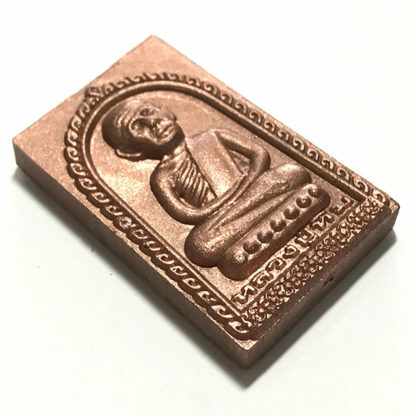 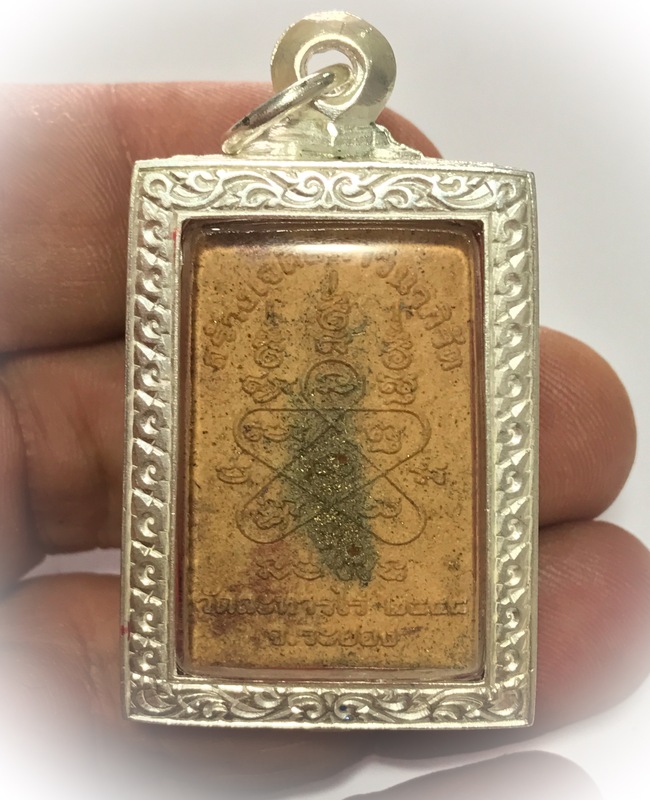 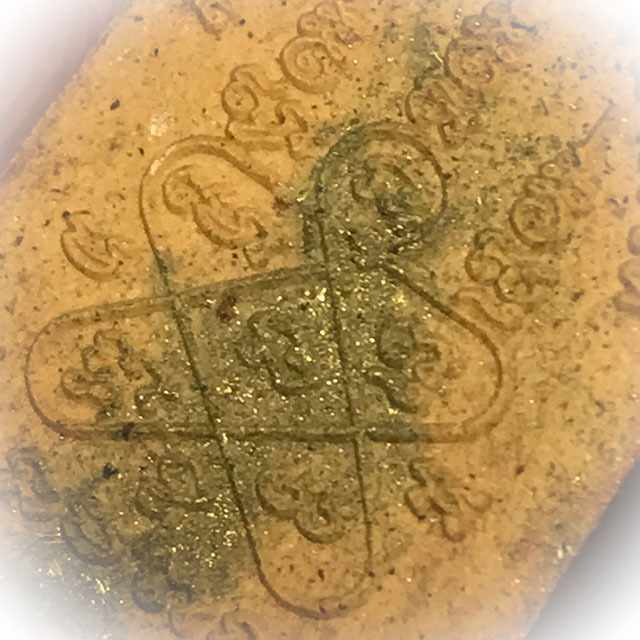 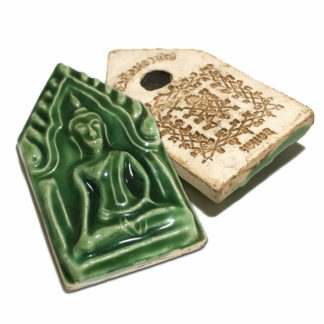 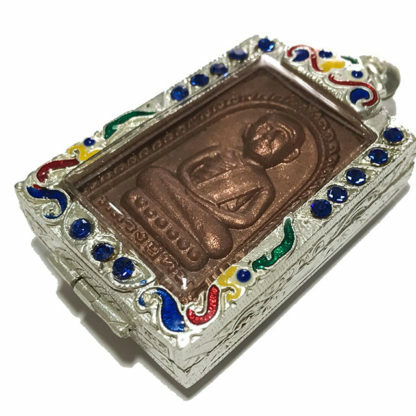 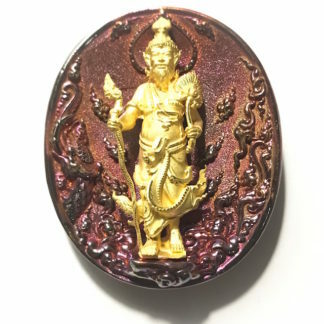 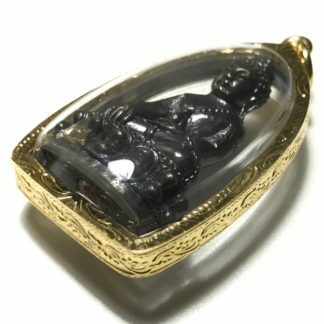 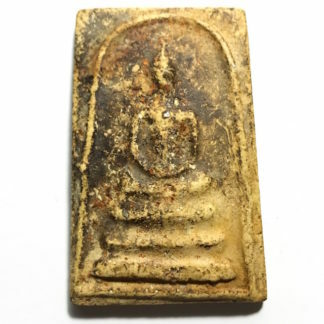 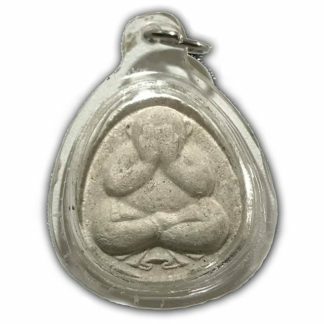 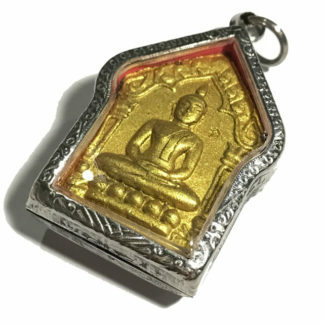 The sacred wan dork tong powders of this amulet contain immense maha Sanaeh power of attraction, and the famously powerful Metta Maha Niyom Mercy Charm for which the Pong Prai Kumarn Powders of Wat Laharn Rai are famous for. 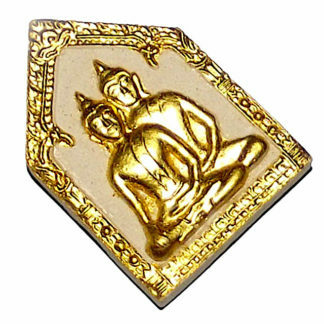 The current abbot Luang Por Cheuy is the continuance of the lineage Wicha of LP Sakorn, who is now deceased as first Korb Kroo apprentice to LP Tim.